Don’t be thrown by the conspicuous lack of allergens or animal products—this is serious comfort food. The cannoli at Pixie Retreat are absolutely heavenly. 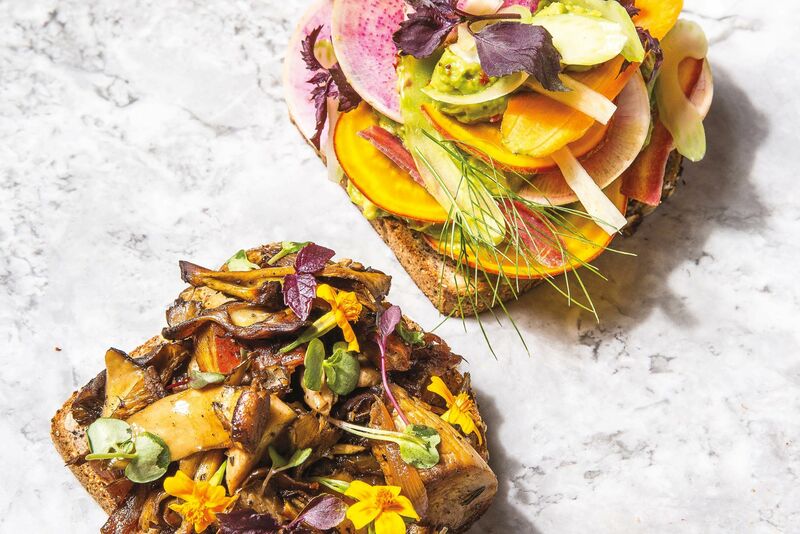 So good, in fact, that co-owners Theresa Keane and Willow O’Brien persuaded Portobello to let Pixie Retreat operate out of their kitchen for a year, paying rent not in dollars, but in dessert. Had those cannoli proved less scrumptious, the business may never have been able to survive. 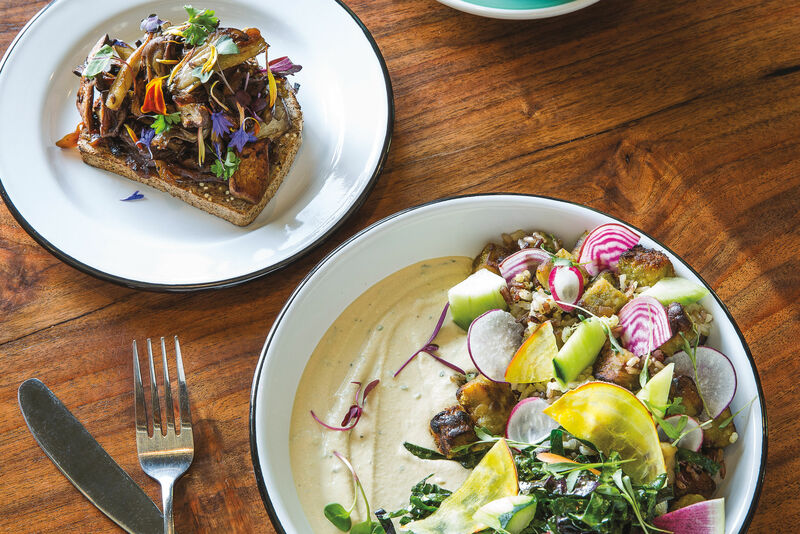 These days, Pixie Retreat has its own kitchen—they call it a “Laboratorie & Makery”—in the Central Eastside. The space features rolling garage doors, ample space and natural light, and an array of gleaming appliances. An enormous tumbler mixes kale salad. A massive “blixer” blends and mixes rich nut-based pudding. There’s a dehydrator the size of a walk-in refrigerator. The need for such exotic equipment is explained by Pixie Retreat’s slogan: “Mostly Raw, Totally Raw’r.” In a city where every corner food cart is now expected to have gluten-free vegan options, Pixe Raw proved proudly ahead of the curve, purveying “raw vegan organic gluten-free soy-free daiy-free refined-sugar-free plant-based whole foods” from scratch since 2007. But don’t be thrown by the conspicuous lack of allergens or animal products—this is serious comfort food. 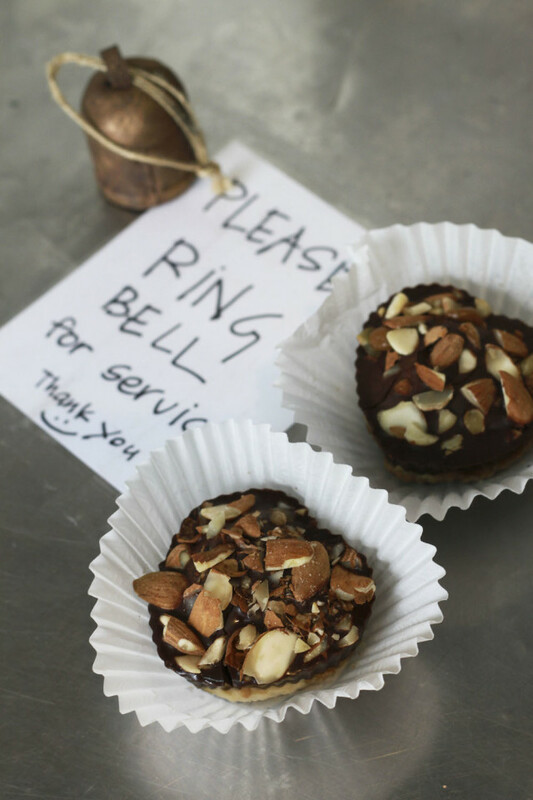 Take, for example, the big chocolate hearts (right), fist-sized chocolates filled with vanilla cream and caramel and almond butter and topped with sea salted sprouted almonds. Or the millet burger collard wrap, which bundles a thick millet patty, cheese, tomato, sauerkraut, and plenty of cashew mayo into a wrap as big as your forearm. Or take the cannoli, which, although you’d never ever guess it, are made with flax, dates, and macadamia nuts. And don’t forget the chile rellano, or the BLT, or the famously decadent l’il puddin’. There’s more—so much more that the pixies can barely find time to make it all. Raw food requires a lot of love: the eggplant bacon and zucchini flax bread take three days to make; the sauerkraut takes a fortnight. 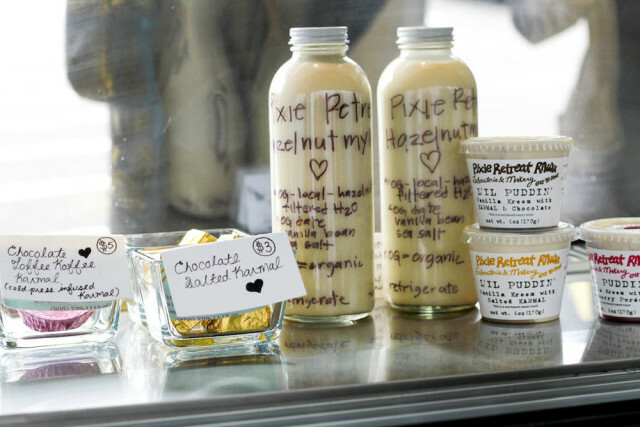 And after years of racing to meet demand from their many wholesale accounts (including Whole Foods, New Seasons, and the major co-ops), Pixie Retreat has switched gears. 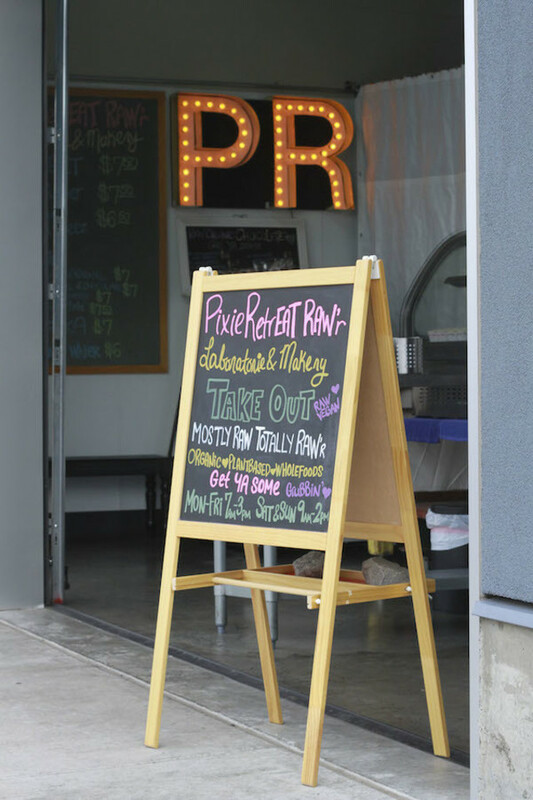 The kitchen’s garage doors have been rolled up, welcoming visitors with colorful signs and generous samples. 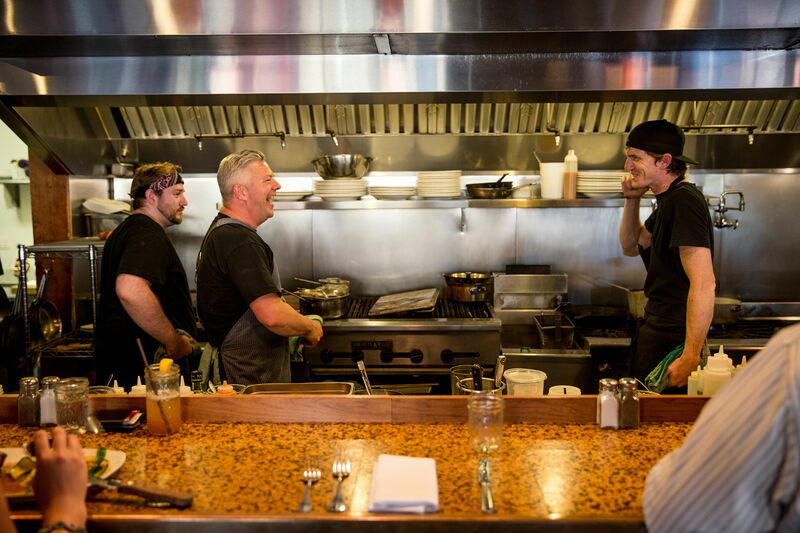 Take-out service, which began quietly this summer, has quickly expanded to seven days a week. 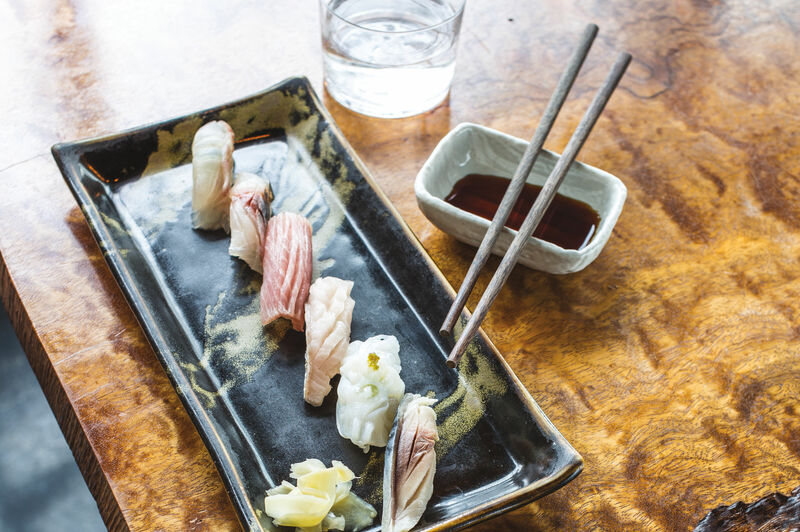 The menu has expanded as well, and Theresa and Willow promise more on the way, including the return of Willow’s favorite Fillet-No-Fish and mock tuna wrap. Don’t be fooled—these raw treats are not rabbit food. They’re fatty and ultra-filling while somehow staying healthful and allergen-free. Theresa and Willow already have their eye on a potential retail space downtown, but in the meantime, the Retreat remains an Industrial District destination. Click through our slide show to see the space, or roll up any day of the week and “Get YA Some,” as the pixies would say. We recommend starting with the cannoli.